Customer feedback is collected instantly and automatically, throughout the entire customer journey. Asking your customers about their experience is possible through different metrics: NPS, CSAT or CES (or all of them!) followed by an open text question. Feedback is collected via different channels such as email, QR-code/URL, SMS and IVR, Messenger or Whatsapp. Smart quarantine features ensure your customers receive the right number of messages at the right time so you won't over-survey them! 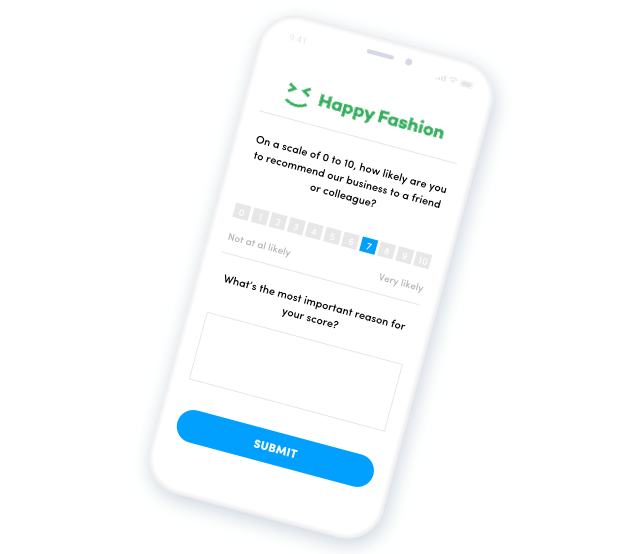 The platform keeps track of bounced emails, it can send out delayed surveys and reminders to create a smooth and frictionless feedback flow. Discover all our feedback engine features! 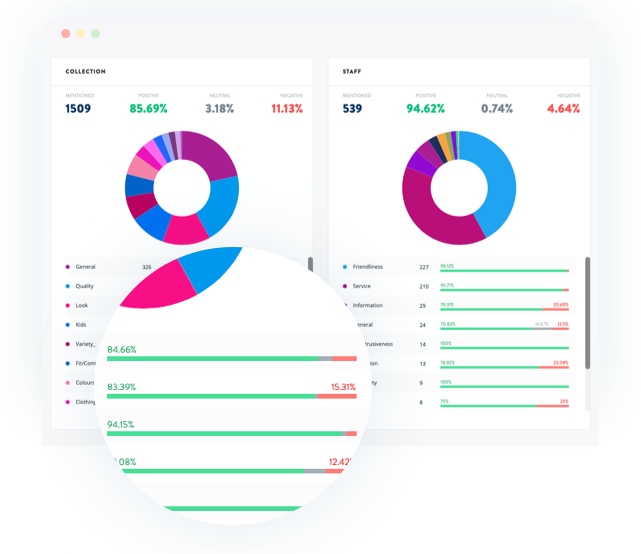 Our AI creates insightful reports based on scores, trends and rankings and compares them to previous periods across your business. Positive feedback is highlighted and all feedback can be downloaded from the report in an instant! Feedback can be enriched with info from your own customer systems (metadata) such as demographic, transactional and contextual data. This helps our AI create more actionable insights! 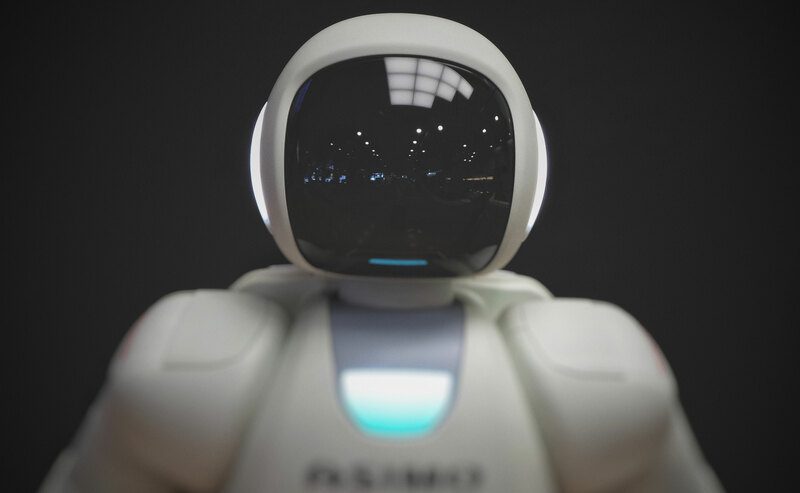 Our AI-driven text analytics recognizes the most important topics your customers talk about and tells you how they felt about their interaction! The smart evolutions feature enables you to set priorities over time. All EU languages are supported. Personal dashboards can be created based on role, team or user. Our powerful AI does the rest! It makes sure the right feedback is delivered to the right person, so employees can impact their own results. Smart KPI's are only a dashboard away! Discover all our AI-driven analysis features! Start a conversation to drive engagement with customers and employees! Our AI was designed to analyze each customer story individually. Based on those analytics feedback will be sent to the right employee or team in real-time and automatically to ensure they receive the feedback they can have the most impact on. Happy employees = happy customers! The platform gathers all feedback in one place, making it easy to get back to your customers instantly. 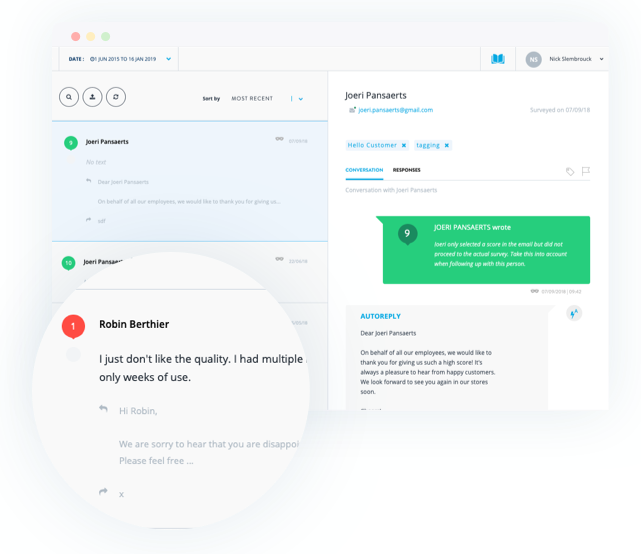 Autoresponders are sent to say thanks for positive feedback or to let customers know a team member will get in touch if there's a problem. Scores can easily be turned into star ratings. We can set up a livestream to show incoming customer feedback on your website or on screens in employee areas! Thanks to our extremely user-friendly rights and roles everyone can get access to their (custom part of) the platform to increase employee engagement across your business. Discover all of our engagement features! top-notch data security? We've got you covered. We are constantly professionalizing to keep up to standards with ISO27001 certification. 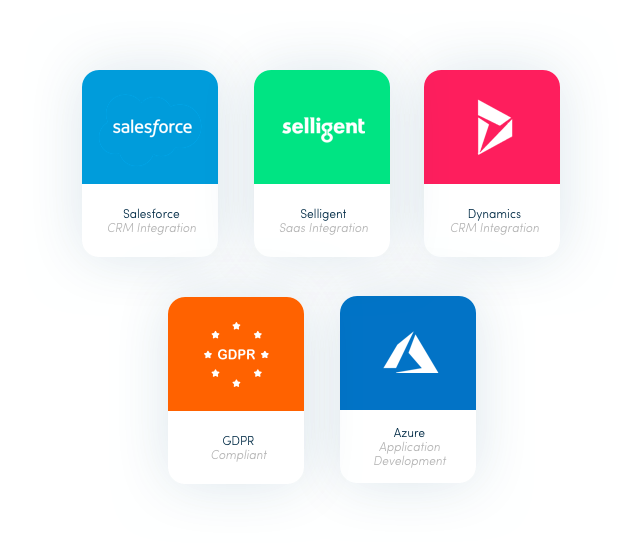 To guarantee full automation Hello Customer provides RESTFUL API, FTPS and native integration with Salesforce and Selligent (among others). Hello Customer is fully GDPR compliant. All data assets are encrypted end-to-end. The platform has been built for security from the ground up. We only use tier1 datacenters with the highest levels of protection and have full failover facilities in our back-up datacenter. When you allow Hello Customer to join forces in your CX strategy, you're in for a ride! We don't just bring in an online tool for you to gather customer feedback, we are there every step of the way. We take pride in providing you with the right tools, mindset, philosophy and experience to prepare, roll out and coordinate your Voice of the Customer programme. This means A Client Partner and an Onboarding & Insights manager will guide you through your journey. Having onboarded already over 100+ organizations successfully, we are the right partner for you. Our onboarding process includes a scoping session to set the frame, goals and challenges, a kick-off workshop, touchpoint configuration and regular check-ins throughout the first year!